I wrote an open source object placement utility that allows for placing objects (trees) on a terrain using the mouse. It consists of a terrain and a water surface (pond). 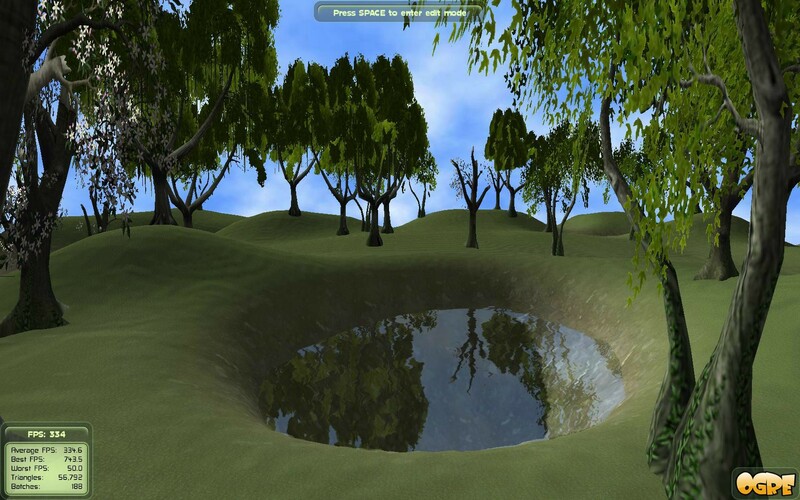 The user can select from 3 different models of trees and place them on the terrain. You enter edit mode by pressing space and a toolbar with all available models appears on the left side of the screen. The toolbar can easily be extended with more models. I hope people will find it useful for object placement in scenes or using it as a base for terrain editors and such. The build system is currently for Linux only (cmake and make) but it should be easy to compile in Windows or MacOS. The code is not perfect so any comments and suggestions are welcome.